More than just a shack out back. 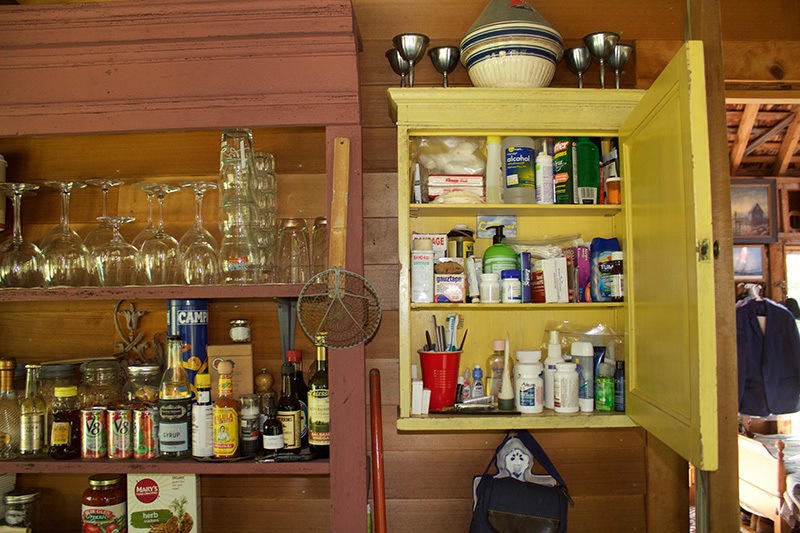 Shacks and sheds are more than a place for people to store their surplus stuff. 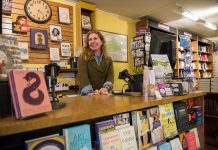 On Martha’s Vineyard, they’re homes. Attitude around here is, you take what you can get when it comes to housing. 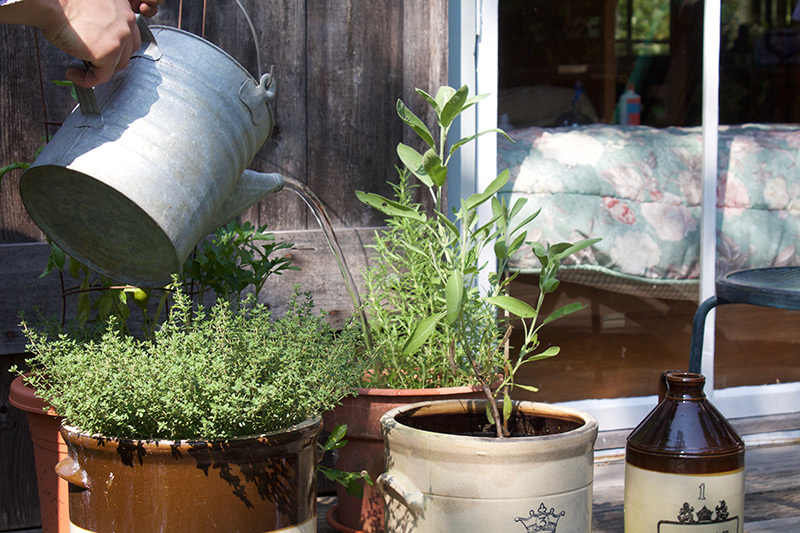 Legalities aside, small spaces offer interesting opportunities to get creative with where you live. 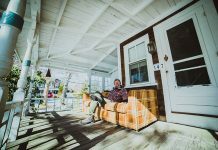 In an era of tiny homes, van life, and a “live off less” mentality, the idea of living in a shack isn’t so bad. For some, it’s paradise. 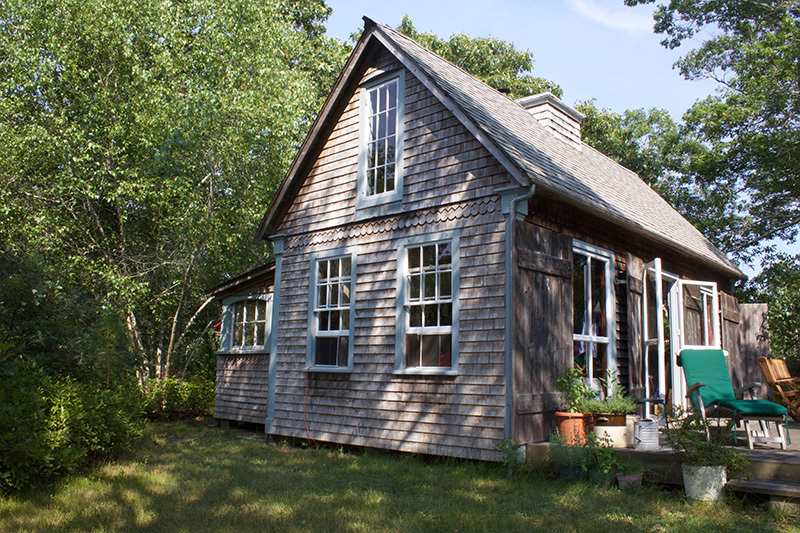 Remy Steele lives in a shack on its own deep in the woods of West Tisbury. His father, James, built it in the early 1980s. 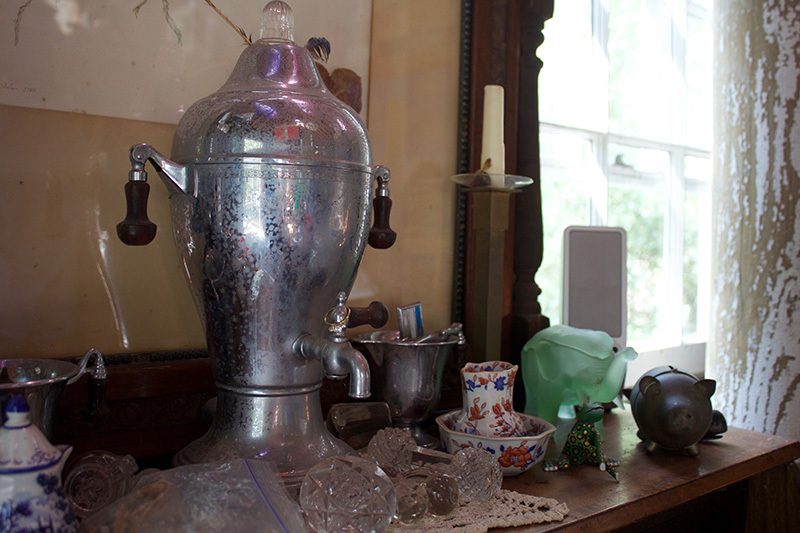 The spot has evolved into somewhat of a family museum. 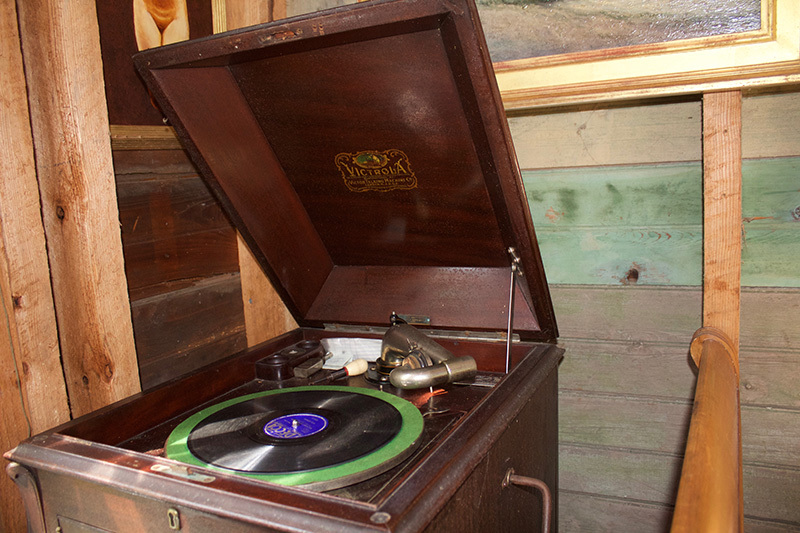 It contains artifacts and collectibles compiled over decades. You get the sense that everything has a place. 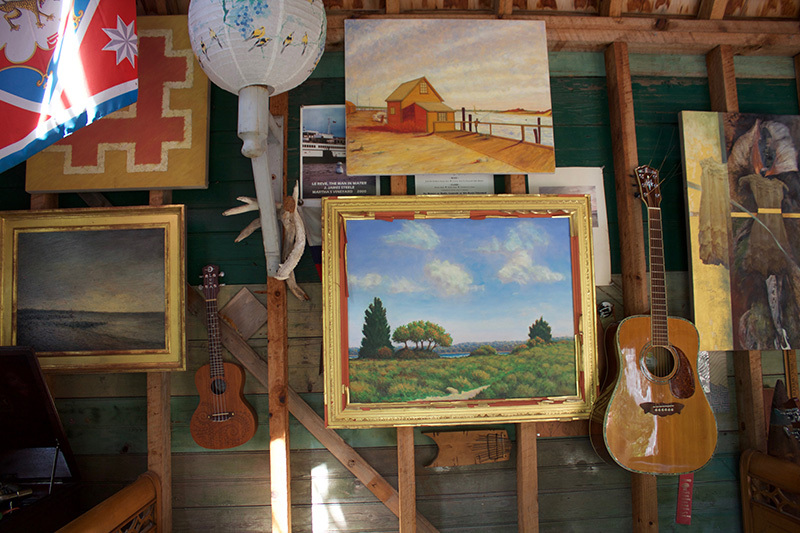 Every painting, guitar, flag, record player, table, dresser, and piece of pottery is meant to sit exactly as is. James Steele is known for his oil and watercolor paintings and sculptures. 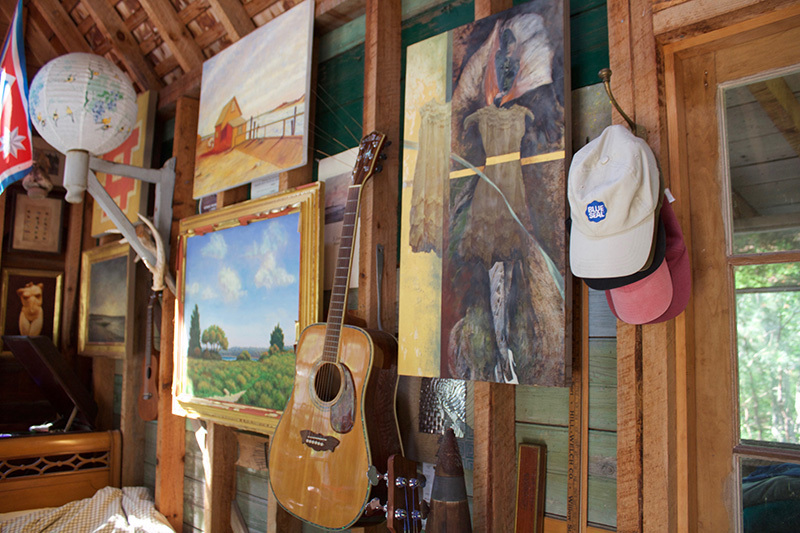 His framed art is displayed throughout the shack, alongside sculptures and other works. Kara Taylor art is also highly represented, in addition to James’ artistic emblem, “The Man in the Water.” This series exhibits the profile of a man wearing a topcoat and bowler hat, floating in a river with a landscape background. It is based on a dream James had as a teenager. 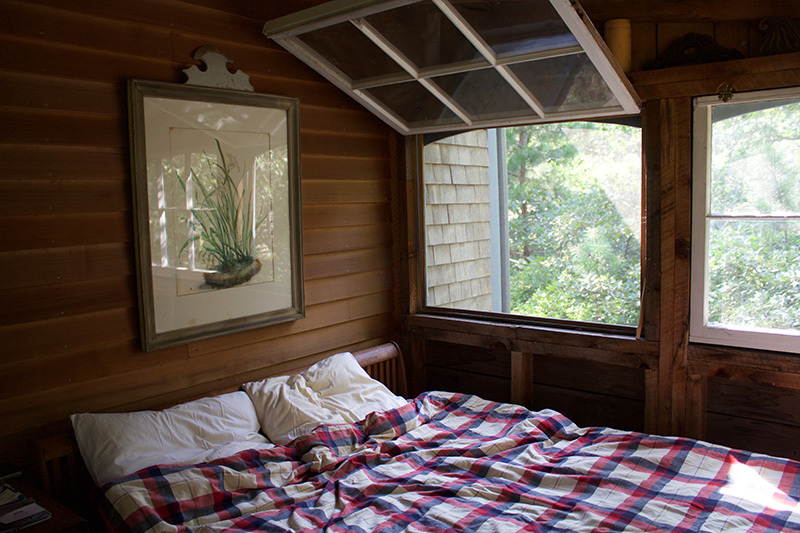 The shack is only livable for about a third of the year — usually from June through September. The place isn’t insulated, but Remy said he prefers it that way. The bathroom, extra sink, and fridge are all located outside. Remy opened a wooden outhouse door and pointed to a word spelled out across the bottom in white paint. 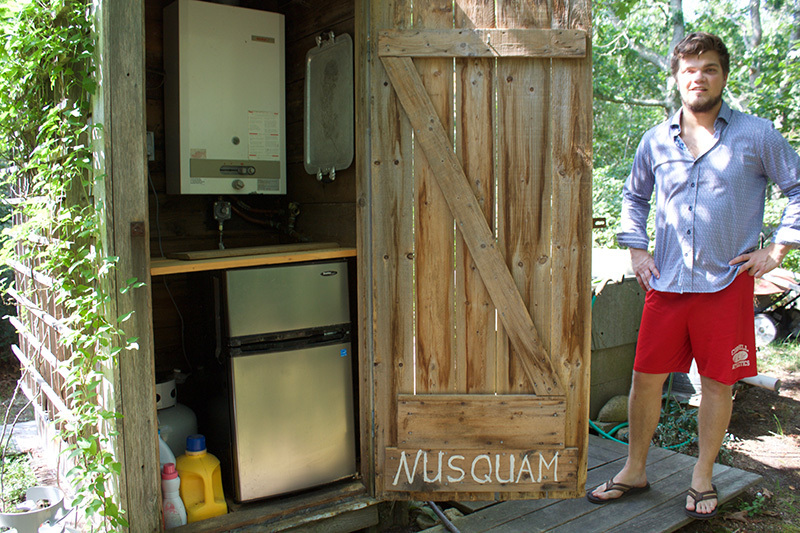 “Nusquam,” it read, which means “nowhere” in Latin — the name of the decades-old summer shack. Construction for Nusquam began in 1979. 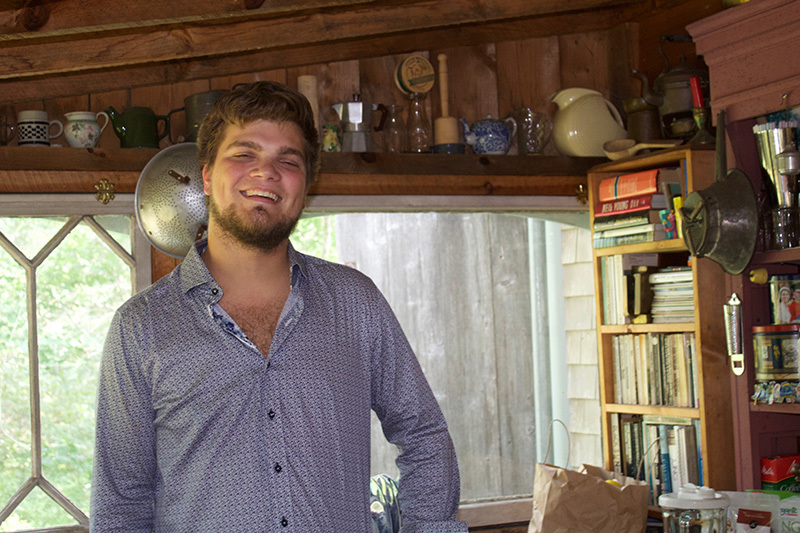 James grew up in Manhattan and Vermont, and made his way to Martha’s Vineyard after a sailing trip to the Caribbean. He worked as a carpenter on Chappaquiddick, and helped construct Vineyard Vines in Edgartown. He started building Nusquam as extra storage space, but the place eventually outcharmed his expectations, and James decided to settle in. 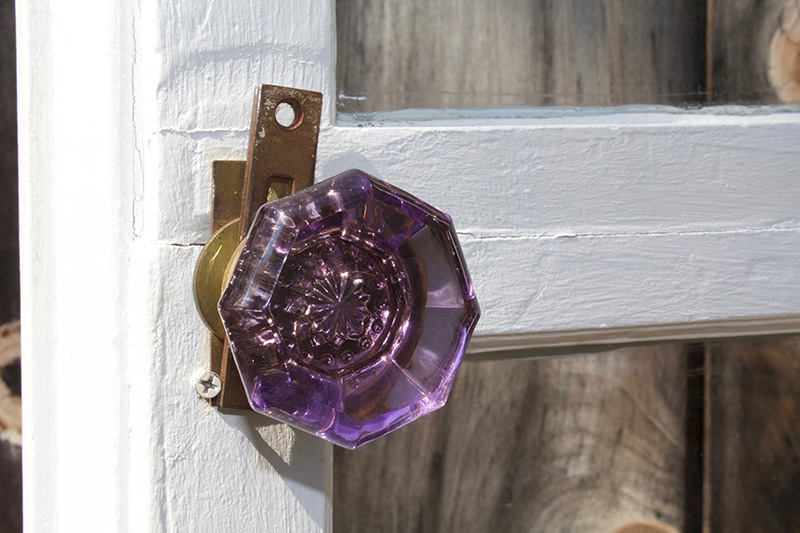 For the first few years, there was no electricity or running water — the entire house was built without power tools. Remy reflected on the years he, his dad, and mom spent in the house together, just the three of them, without electricity or running water. 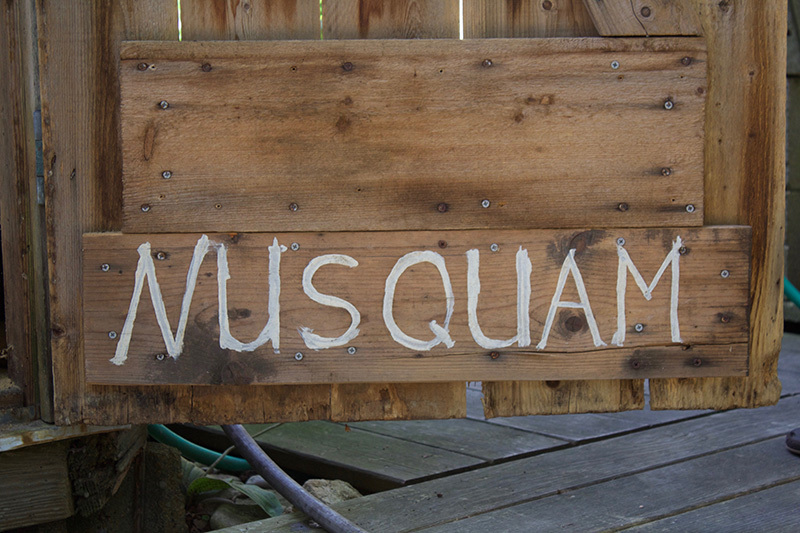 Nusquam was reshingled, and the deck was expanded, about eight years ago. Two old French doors open from the porch to the open floor entrance. 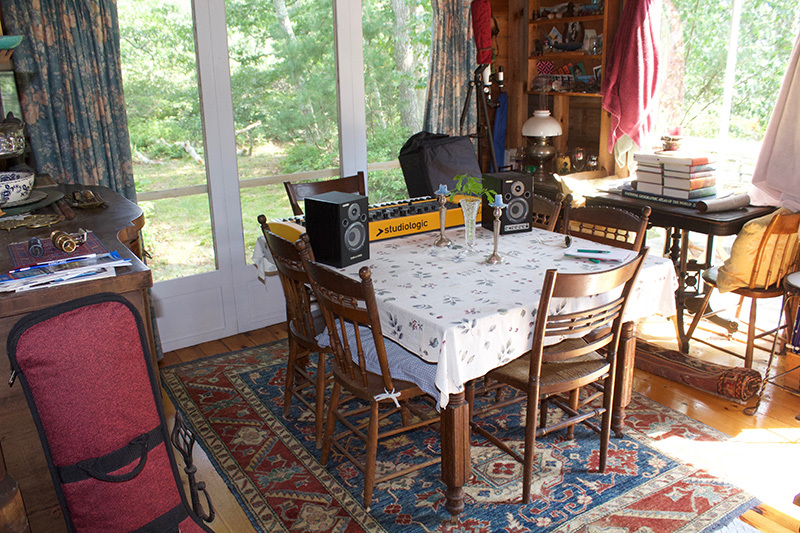 To the right, there’s a dining table with chairs and floor-to-ceiling windows overlooking dense woods. 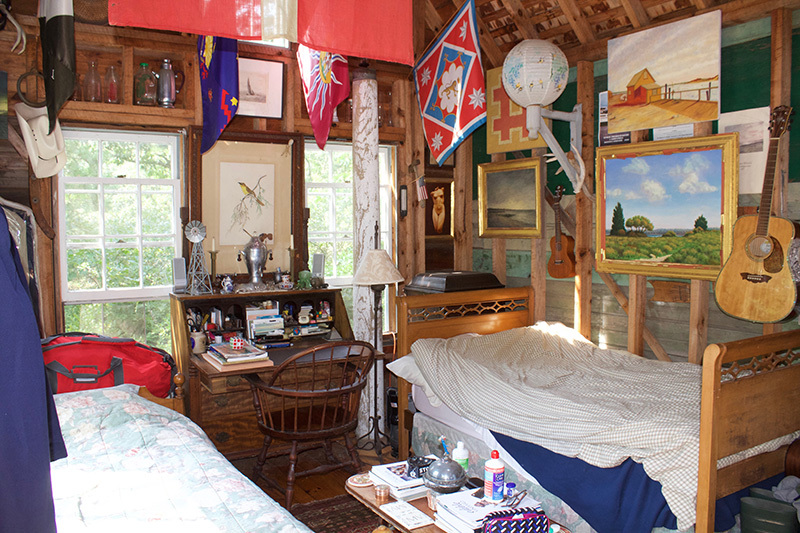 To the left, there’s two twin-size beds, a desk, center table, and pieces of old art and furniture that fit into the space like pieces of a puzzle. An open door frame leads to a kitchen on the right, and Remy’s bed space on the left. 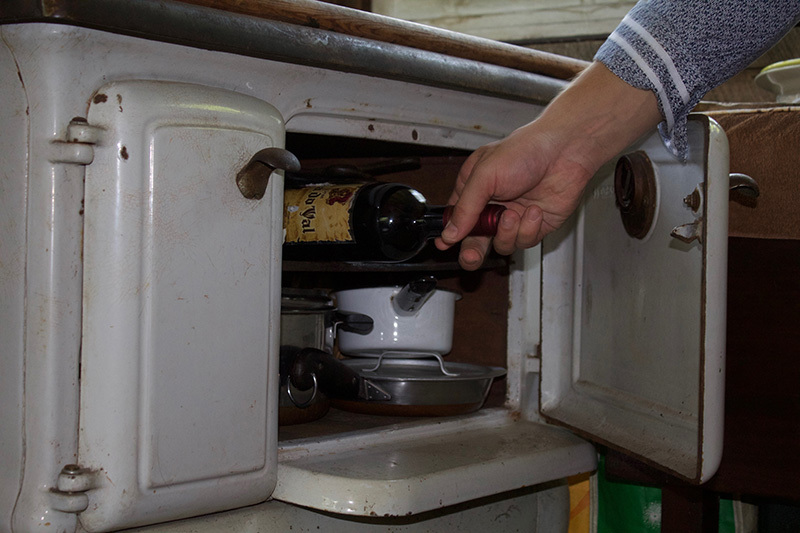 The bottom of an old stove is used to store wine bottles and pots and pans. The top is used for cooking. 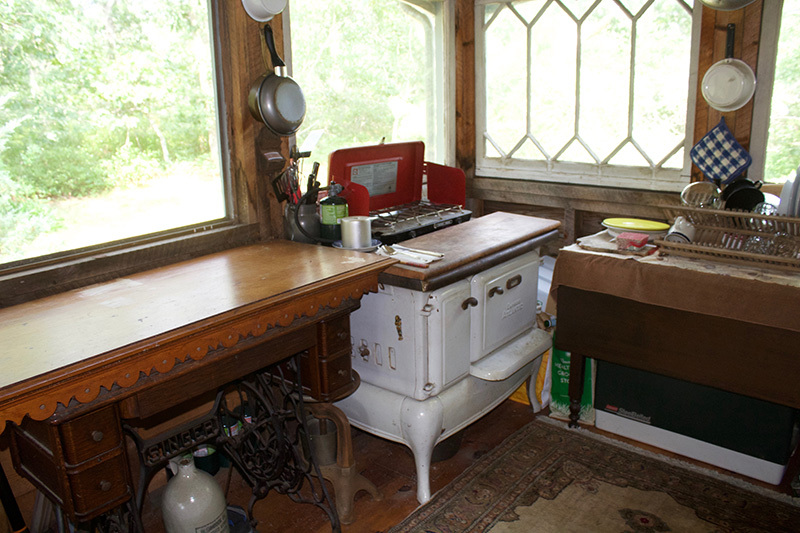 An old sewing machine cabinet sits to the left of the stove as a table, and along the wall there’s a fully stocked spice cabinet and bookshelf. 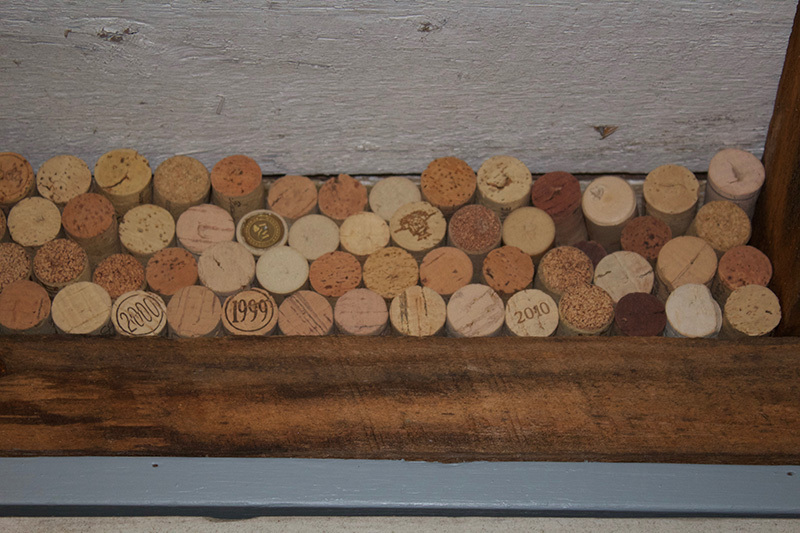 “Oh, and look,” Remy said, pointing a space just below the ceiling, “My dad finally finished filling in his cork collection.” Hundreds of wine corks are crammed into the space, packed together closely, and lining the crown of the kitchen walls. 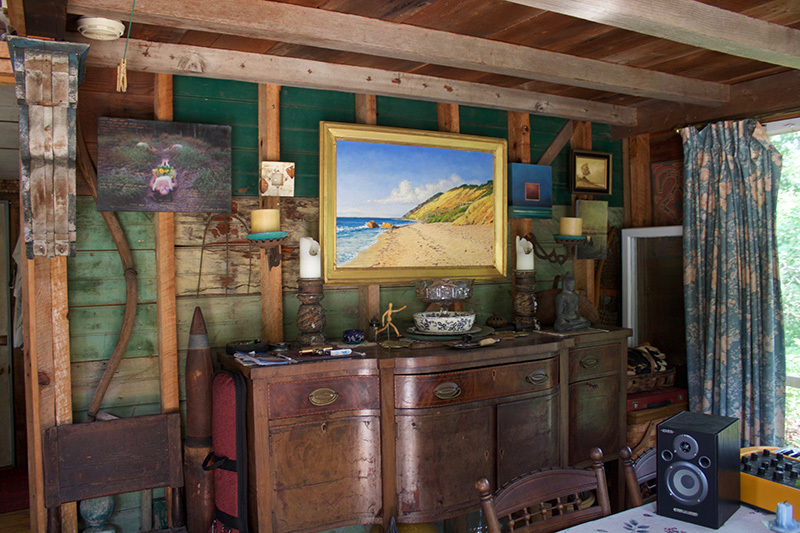 Every inch of this shack is adorned to its fullest potential, with whimsical and representative detail. 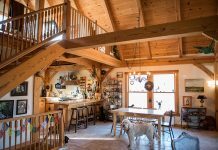 If you ever find yourself on the road to Nusquam, be it Remy’s shack or your own version of it, leave room to let it outcharm your expectations. You, too, could be on your way to paradise.